Fun games and activities are a great way to help preschoolers practice their counting skills. 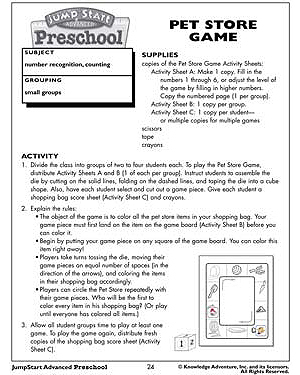 Board games like our exciting ‘Pet Store Game’ require kids to know their numbers well as they roll the dice and move their game piece forward. Free preschool activities such as these as they go a long way in making the subject more relevant and enjoyable for the little ones!